Chrysler Voyager Relay. This vehicle part was removed from a year 2004 Chrysler Voyager CRD Touring. Removed from a right hand drive car. This is a used part and may have marks and signs of usage. 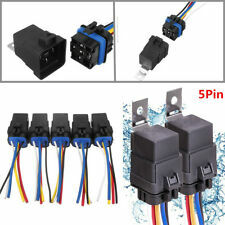 Genuine5 PIN Multi-UseBlack Relay. Part Number:21911C. Condition:Good working condition. Chrysler Voyager Relay. This vehicle part was removed from a year 2002 Chrysler Voyager CRD Touring. Removed from a right hand drive car. This is a used part and may have marks and signs of usage. 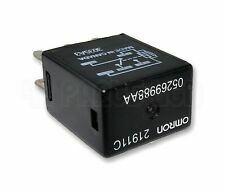 CHRYSLER GRAND VOYAGER (2001-2004 )RELAY (Removed from a left hand drive car). THIS RELAY IS FROM A YEAR 2004 CHRYSLER GRAND VOYAGER 2.8 TURBO DIESEL, ( 2776cc Engine ) 5 speed manual. Chrysler Voyager Pair of Relays. This vehicle part was removed from a year 2004 Chrysler Voyager CRD Touring. Removed from a right hand drive car. This is a used part and may have marks and signs of usage. Chrysler 300C 3.0 Diesel CRD 2006 - Onwards. Jeep Grand Cherokee 3.0 Diesel CRD 2006- Onwards. Original BERU. EUR PL 18 1140 2004 0000 3312 0394 5268. GBP PL 78 1140 2004 0000 3112 0399 4241. SWIFT: BREXPLPWXXX. CHRYSLER VOYAGER LE MK3 1996-2000 PAIR OF RELAYS (Removed from a right hand drive car). 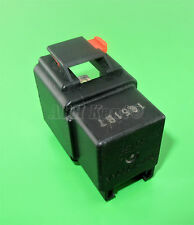 THIS PAIR OF RELAYS ARE FROM A YEAR 1997 CHRYSLER VOYAGER LE, 5 DOOR MPV 3.3 PETROL ( Engine Code EGA) 4 SPEED AUTOMATIC. 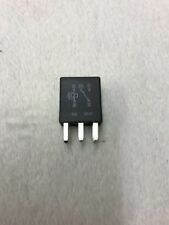 CHRYSLER VOYAGER LE MK3 1996-2000 RELAYS 4707211 (Removed from a right hand drive car). 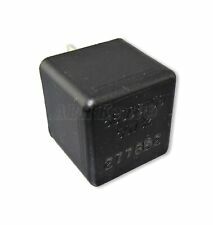 THIS PAIR OF RELAYS ARE FROM A YEAR 1997 CHRYSLER VOYAGER LE, 5 DOOR MPV 3.3 PETROL ( Engine Code EGA) 4 SPEED AUTOMATIC. 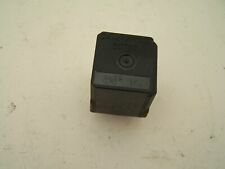 CHRYSLER VOYAGER LE MK3 1996-2000 RELAY (Removed from a right hand drive car). THIS ENGINE ECU KIT IS FROM A YEAR 1997 CHRYSLER VOYAGER LE, 5 DOOR MPV 2.5 TURBO DIESEL ( Engine Code ENC) 5 SPEED MANUAL. Chrysler 300C 3.0 Diesel CRD 2006 - Onwards. Jeep Grand Cherokee 3.0 Diesel CRD 2006- Onwards. Original BERU. part no GSE114. Faulty Products 2 Years WARRANTY ! 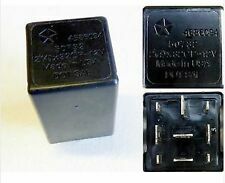 CHRYSLER VOYAGER LE MK3 1996-2000 RELAY (Removed from a right hand drive car). THIS RELAY IS FROM A YEAR 1997 CHRYSLER VOYAGER LE, 5 DOOR MPV 2.5 TURBO DIESEL ( Engine Code ENC) 5 SPEED MANUAL. SCOTTISH & ENGLISH OFFSHORE ISLANDS, NORTHERN AND SOUTHERN IRELAND, ISLE OF MAN AND ISLE OF WIGHT ETC. We do not cover any labour or garage fees or any other expenses caused if the item appears to be faulty. General Wear/Tear, Otherwise In Good Condition. Chrysler 300C 3.0 Diesel CRD 2006 - Onwards. Jeep Grand Cherokee 3.0 Diesel CRD 2006- Onwards. Original BERU. Add to Favorites. Chrysler Neon PL LE 2.0 16V BJ. The spare part was of the following vehicle dismantled: Chrysler Neon 2.0 i 16V LE. Construction/body Sedan 4/5 doors. Mileage 167710 KM. Transmission Automatikgetrie be. CHRYSLER DODGE JEEP. 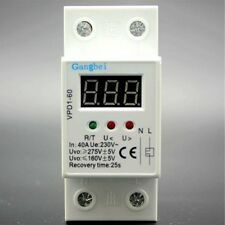 4 PIN RELAY. MULTI PURPOSE. GENUINE NEW.